What’s great about the Gmail add-on? 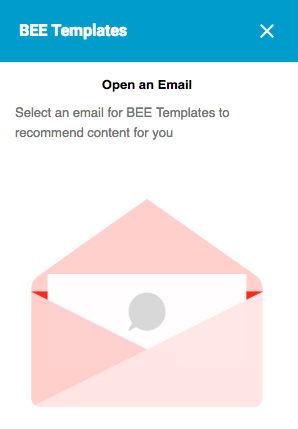 Let’s get started with BEE templates for Gmail. 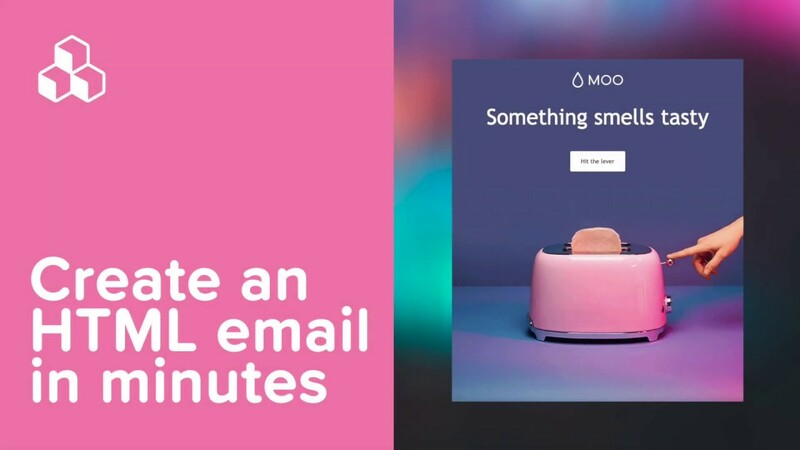 If you’ve ever wanted to send a beautiful, sophisticated email straight from your Gmail account, you’re in luck. With the BEE Templates for Gmail add-on, now you can send fully designed messages directly in Gmail. All you have to do is install the add-on in a few clicks and you’ll get access to a library of ready-to-customize templates in your inbox. 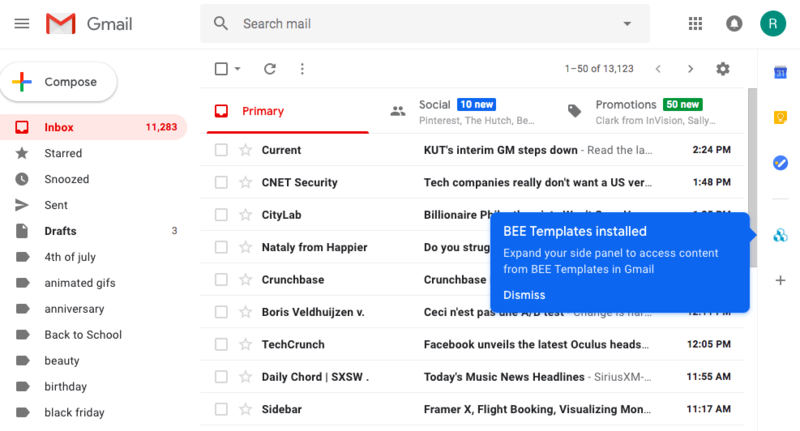 And good news: BEE templates for Gmail is free. There’s no registration required; just install the add-on and start customizing templates right in your Gmail inbox. We’ll show you how—Watch the video above and read on! 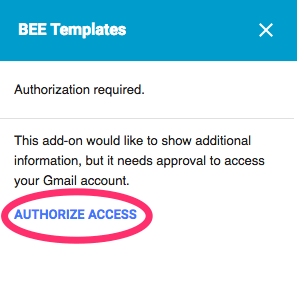 Using BEE templates in Gmail is easy. Follow these two steps and you’ll be ready to go in a few minutes. 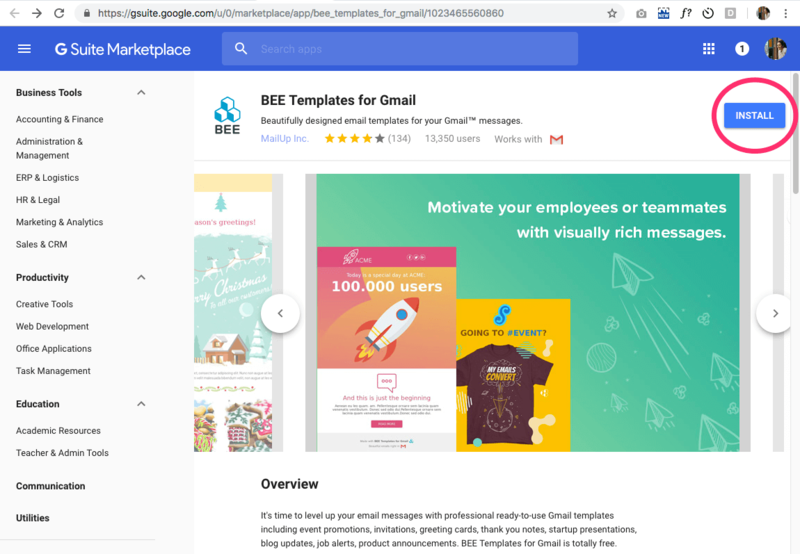 Install BEE Templates for Gmail from the G Suite Marketplace using this link. Once the page is open, tap install in the upper right. To permit the installation, you’ll go through a few steps to give BEE permission. Note: If you’re using G Suite within a company, you should ask your admin to authorize it first. Once you continue, choose your account. Then confirm access is allowed. After clicking Allow, a window will pop up confirming installation. 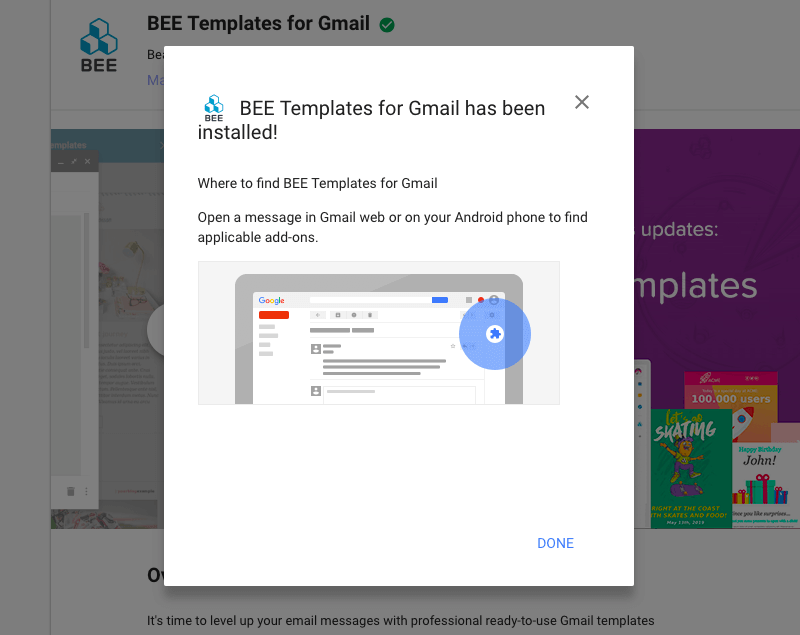 Close the window by tapping Done, then open Gmail to access the BEE templates. When you log into your Gmail account, you’ll probably get a notification confirming your add-on has been installed. 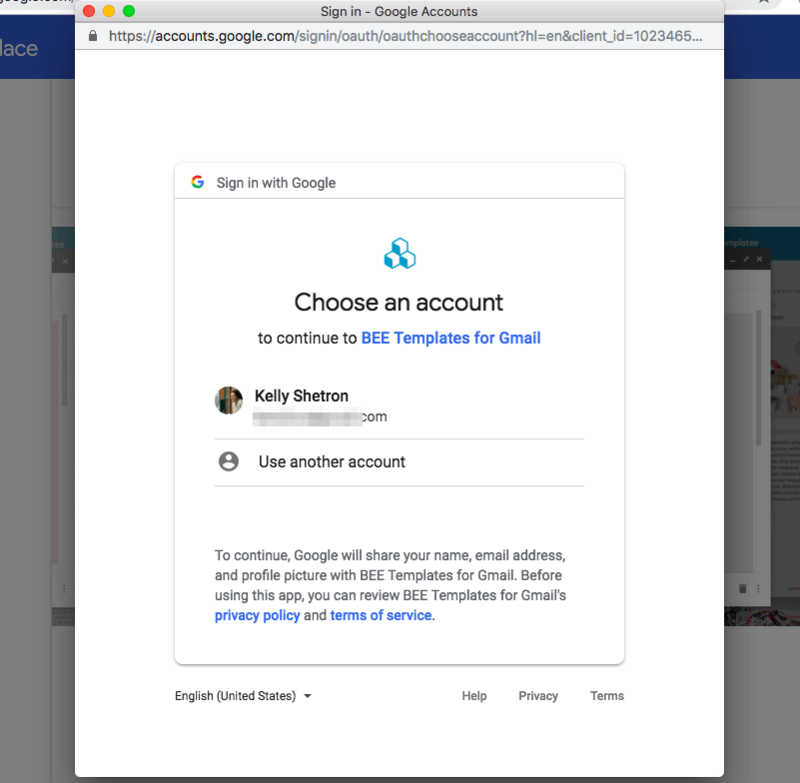 If the small, light blue BEE logo does not appear in the Gmail add-ons column on the right side, try reloading Gmail or emptying the browser’s cache and then reloading. If you tap the BEE icon from your main inbox view, you’ll be prompted to instead open an email first. That’s because Gmail add-ons are only displayed once a message has been selected. 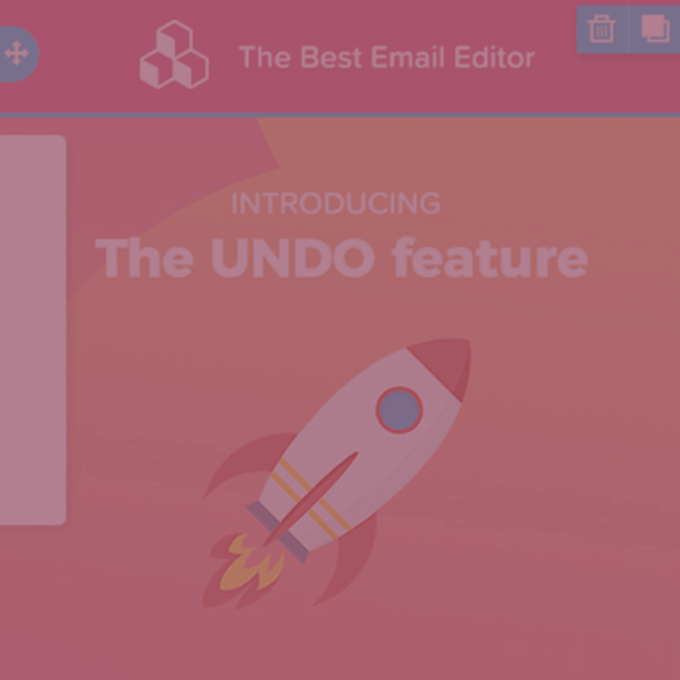 Open an email in your inbox, then tap the icon again. You may be prompted to authorize access from within your account. Simply tap Authorize Access and follow the prompts to proceed. Then scroll through a large menu of templates, right in Gmail! As soon as you click on a template of your choosing, it will open up in a new draft for you to customize. 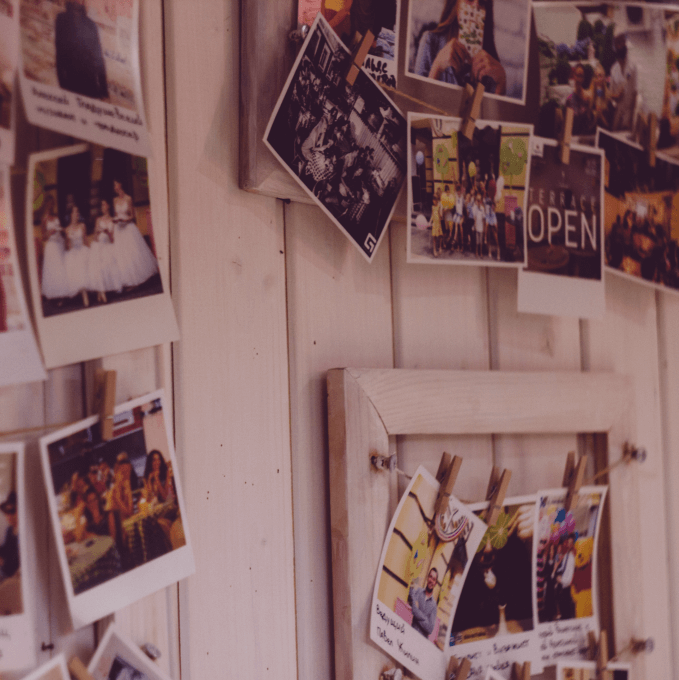 Edit your template as you wish, then send it as you do with any other message! 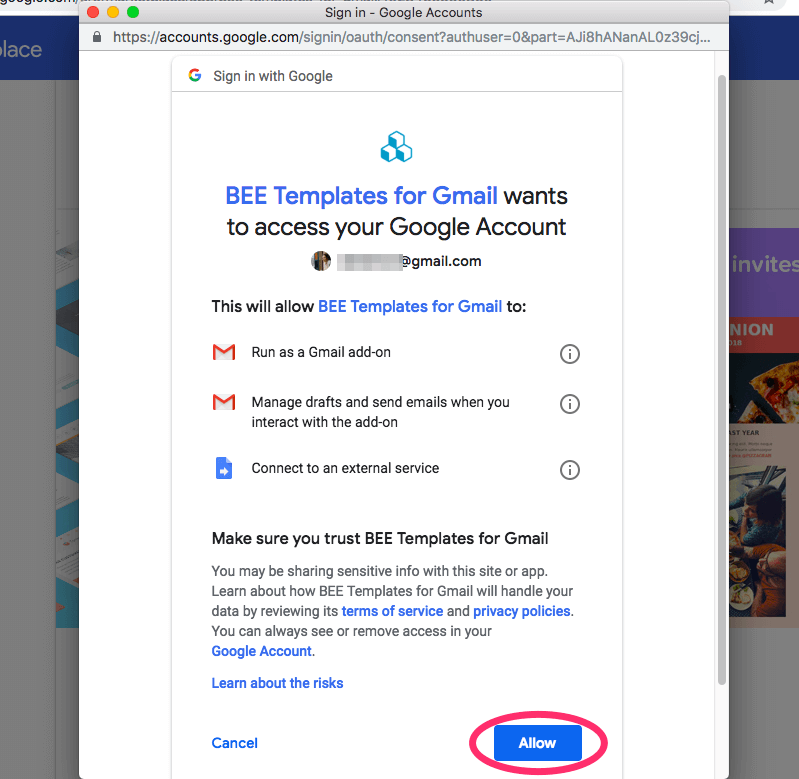 Note the Gmail add-on version of BEE always displays the desktop version of an email. In the BEE editor, all messages you design are automatically mobile responsive. 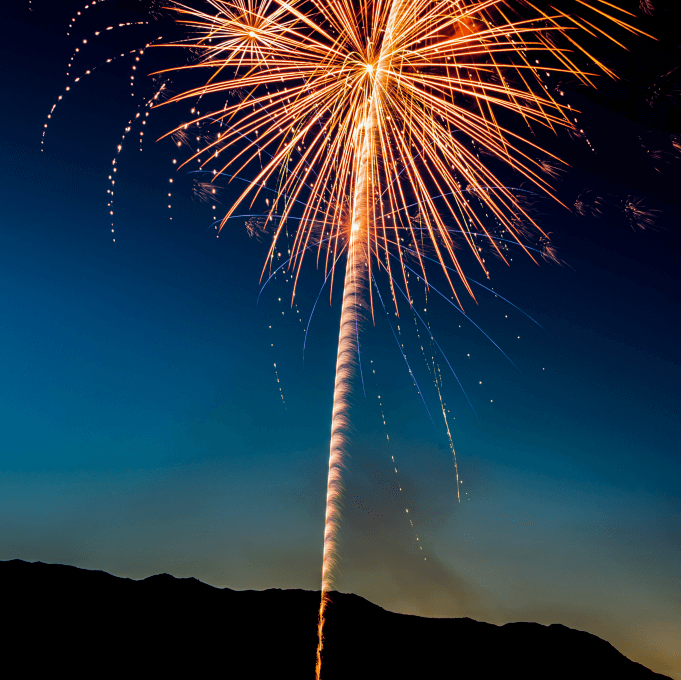 However, please note that because the Gmail composer strips parts of the code, all messages that you edit and send with Gmail will always display the desktop version regardless of where they are opened. 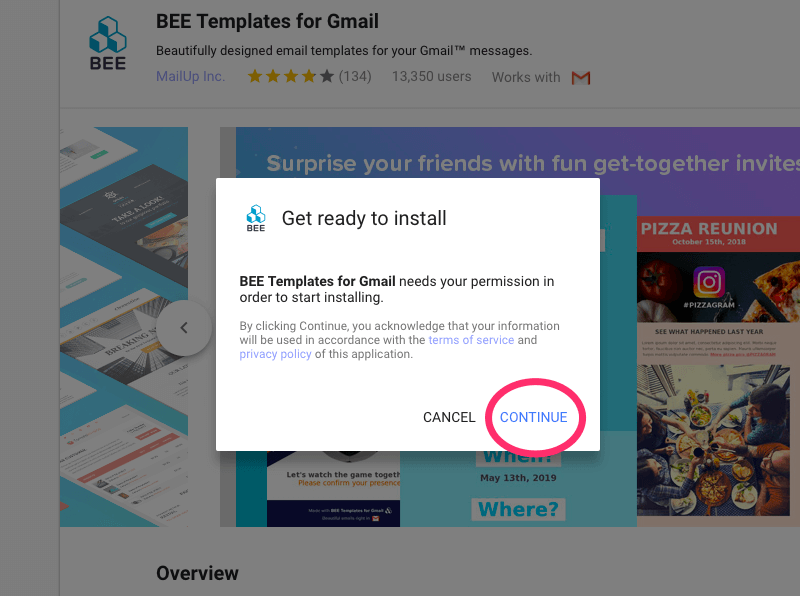 In other words, if a message is sent with Gmail, even if you use a BEE-designed template to start with, even if the message is opened on a mobile device, it will render just like it does on a desktop device. In many cases, this is not a big problem. 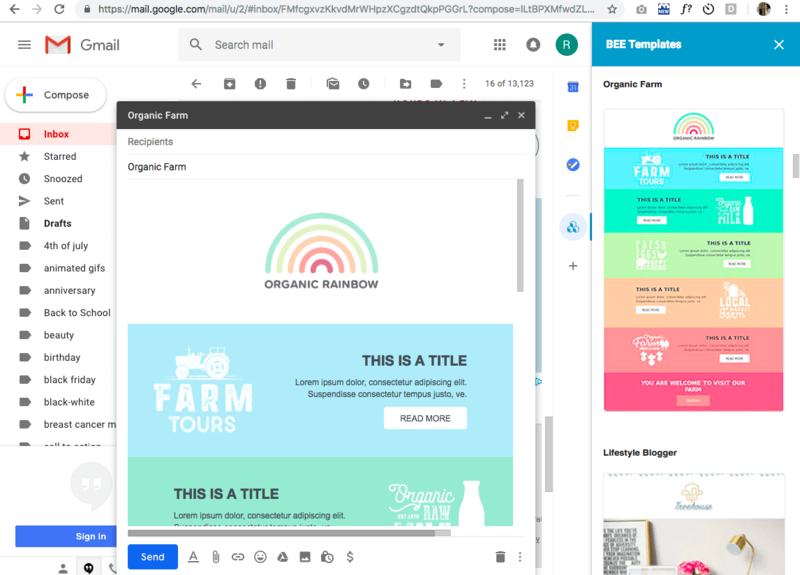 The templates that you will find in the BEE Templates for Gmail add-on are specifically designed with structures that adapt well to all devices. 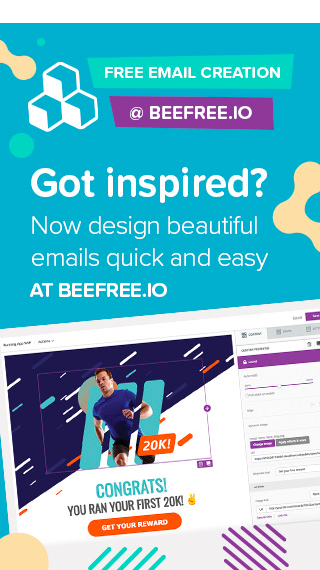 But if you’re looking for templates with more complex designs—e.g., multiple columns—and if you need those messages to adjust to the device in which they are opened, then consider using BEE Pro to design your emails – Free trials are available if you want to try it out! 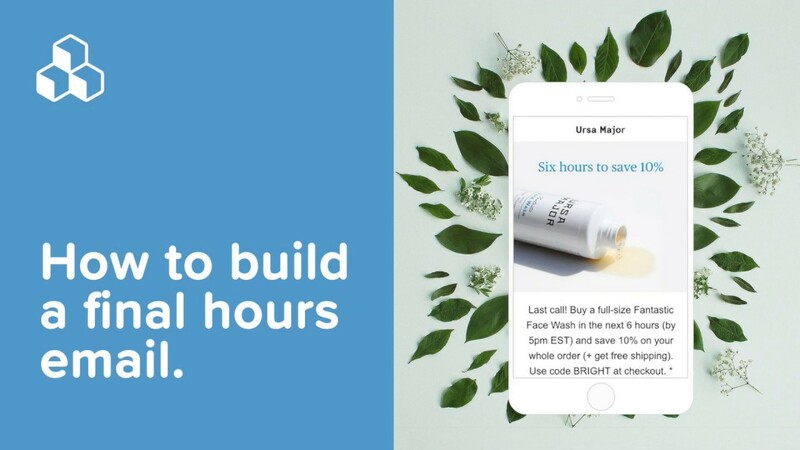 Any message you build in BEE can be pushed to your email service provider of choice, including MailChimp, MailUp, HubSpot, SendGrid, and others. 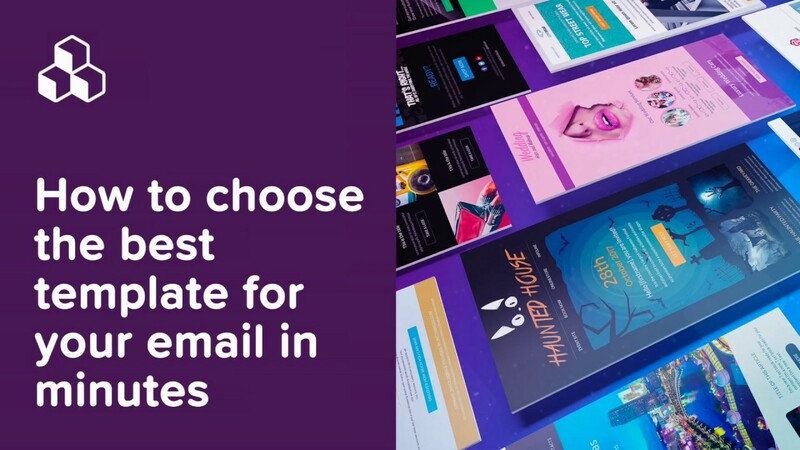 Want to stay up to date on all our templates for Gmail? Click here.